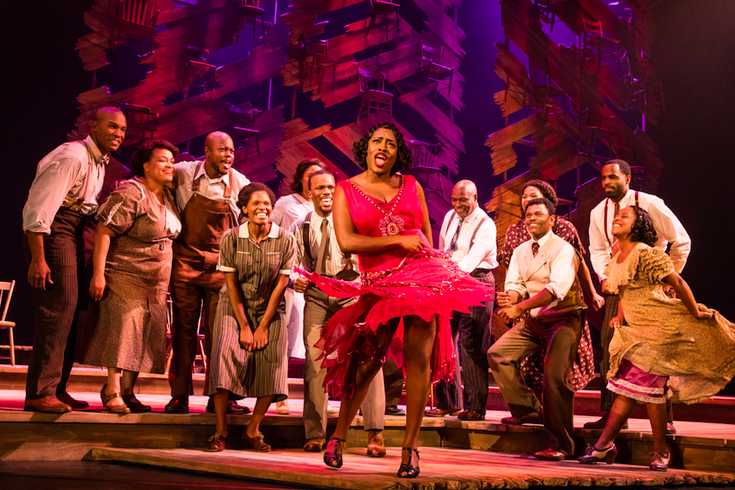 "The Color Purple" is being performed at the Forrest Theatre. Cast members from "The Color Purple," which is currently being performed at the Forrest Theatre through Sunday, Dec. 17, will host a lunchtime Q&A session at the African American Museum in Philadelphia. Beginning at noon on Thursday, Dec. 14, the cast will answer questions about the Tony Award-winning musical and how its themes are relevant in today's world. The show is based on Alice Walker’s Pulitzer Prize-winning novel. At its center is Celie, who has an abusive father, cruel husband and becomes separated from all that she loves. Yes, she perseveres, holding on to her dream of one day being reunited with her sister in Africa. Adrianna Hicks, who plays Celie, along with Carla Stewart (Shug Avery) and Carrie Compere (Sofia) will be in attendance to answer questions from the audience. Following the discussion, the performers will pose for photos and sign autographs. Attendees are invited to bring a brown bag lunch for the event and can enter a contest to win tickets to "The Color Purple."